This is perhaps Audi's perfect rendition of what seems to be the perfect luxury executive sedan. German Magazine Autobild released new information on the 2020 A9 E-Tron. 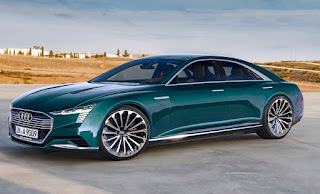 The E-Tron is all-electric and a four-door sedan, rocking a long wheelbase. Seems like electric is the way. The base model is said to have 265 kW, the S variant is likely to be 320 kW strong, the RS rolls with approximately 400 kW at the start. Probably beginning in 2020, two years after the Q6. In addition, a new lovely design from early rendering of the next Audi RS7 is shown below. Looks legit but not an official release from the Audi company. The A7 prototypes are already on the streets, but what's with the RS model? Above is a preview, way ahead of the public reveal. 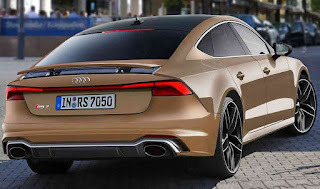 This is the 2019 Audi RS7 based on spy images. Audi is pretty hitting the stakes with its massive efforts at producing electric self-driving cars. Already, the company's dreams are on track as it has unveiled prototypes of some of its future vehicles.